Pass this one around folks. "Take me violently from behind in a manner reminiscent of Genghis Khan!" 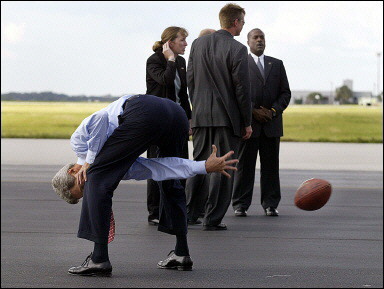 "John Kerry, reporting for booty." "Fetch me a proctor. I am ready for the global test." "I support your authority to invade, but I suggest you pull out within four years." "Saviour of Rassmann? No, savor the assman!"